pgurel– Despite being Friday the 13th, things seem to be going alright for me in lab so far. Today, I am doing PCR (polymerase chain reaction) to create a new DNA construct that I will eventually use to express and purify protein. I am working on making a protein factor that helps facilitate actin assembly. PCR is one of the most widely used lab techniques, but you can always run into some issues… not today though! 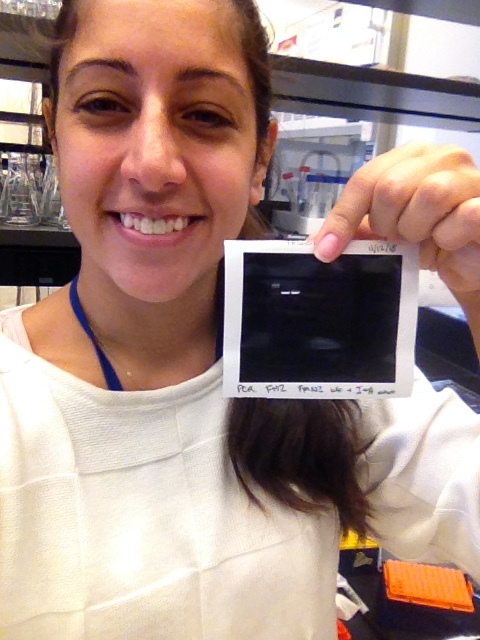 In my selfie, I’m holding an image of my gel with two clean bands of DNA that represent the correct PCR products. Yay! crestwind24– This morning I am doing work in the dark microscope room. 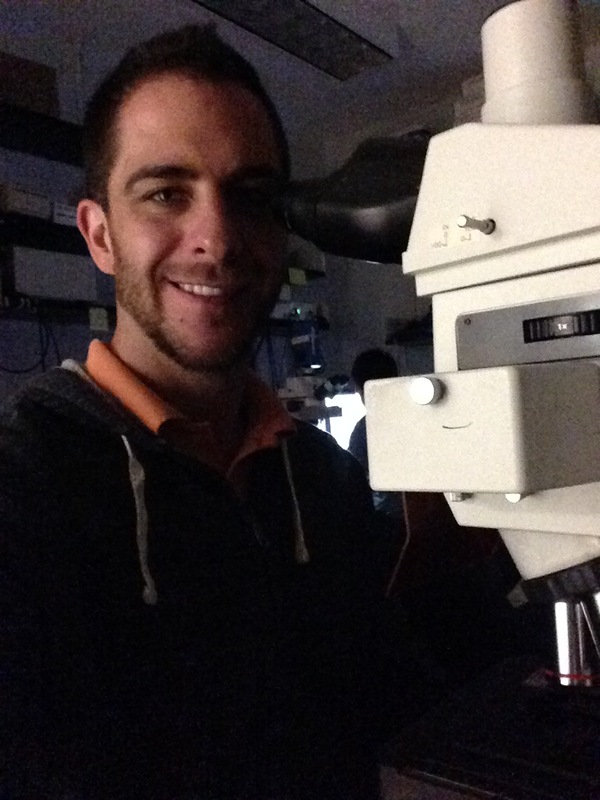 Using a wide field microscope and fluorescence, I can look at the axons of worms as they crawl around on a plate. Specifically, today I am looking at axons in live worms for outgrowth of neurites in addition to the main axon. I have devised a scoring system, and will compare the outgrowth in wildtype worms and in worms that have mutations in genes that may be involved in the axon outgrowth. Super cool to look at neurons in living animals so easily! !